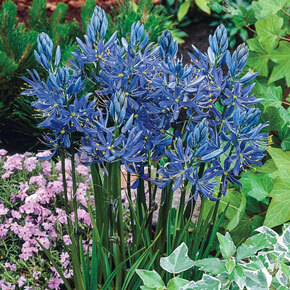 Flower Form: The flower rise in an open spike of star-shaped blossoms, ranging from pale blue to a deep blue-violet. 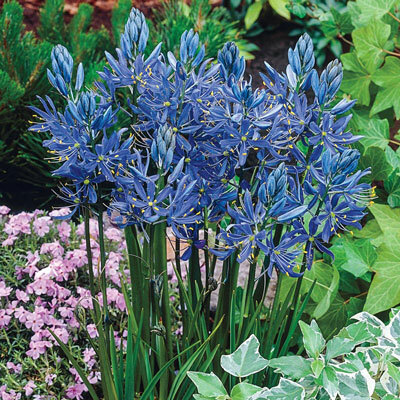 Foliage Type: Camas have the signature strap-like leaves, with the flowering stem rising above the graceful cascade of leaves. 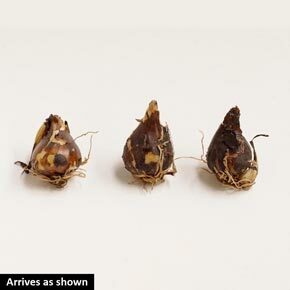 Soil Requirement: Tolerant of many soil types and can thrive in heavy clay.